Just print this template out and have the child color with markers or crayons. Then have them cut both pictures out. I used decorative scissors to cut it out to make it look more neat. Have the child glue the picture down on colored card stock. 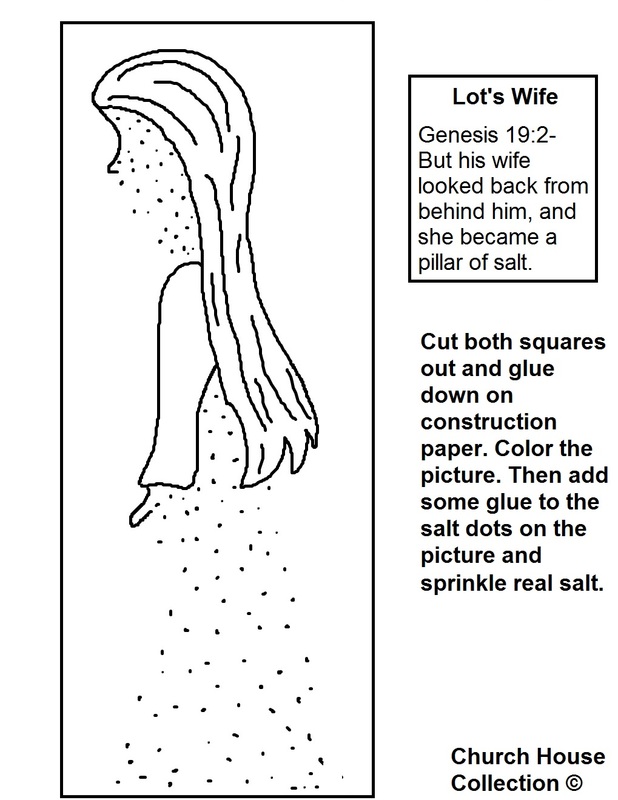 Using stick glue have the child smear it all over the dots on Lot's wife. Then help them sprinkle table salt all over. 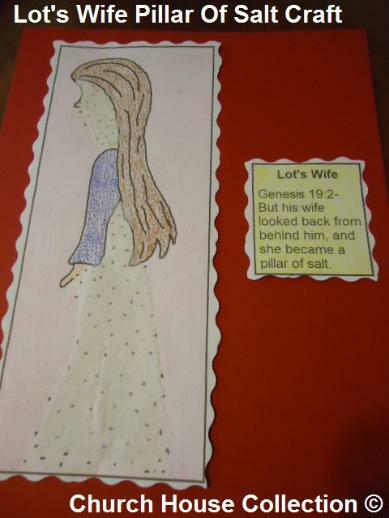 This makes a neat craft for getting the story point across about Lot's wife turning into a pillar of salt.